Partners since 2008, Beneficial Bank and Peirce College collaborated to bring a series of self-improvement Learning Bursts to Beneficial employees. 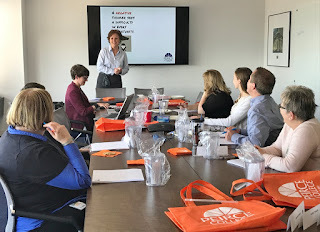 The final topic, Positive Outlook, was presented on May 9th by expert facilitators Cathy Littlefield, Ed.D., Associate Professor and Chair of Business Programs and Sharon Thompsonowak, Director of Career Development Services. 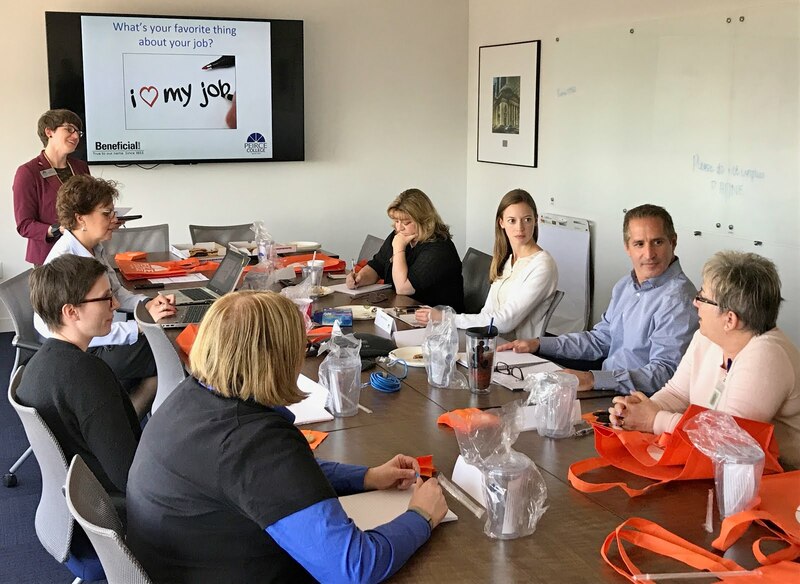 Thompsonowak began by sharing the helpful effects a positive outlook can have in the workplace such as a reduction in work-related stress and an increase in work productivity. Additionally, and perhaps more importantly, researchers have found a positive outlook directly benefits your health and makes you less vulnerable to life-threatening diseases such as cancer, heart disease and stroke. Sounds great, but how do you maintain a positive outlook? Although these suggestions may seem straightforward, when practiced consistently they can have practical and significant results. Thompsonowak concluded the session by emphasizing the direct correlation between outlook and perception. How you perceive the world around you directly impacts your overall outlook and attitude. If you choose to see the opportunity in every problem and the lesson in every setback, you’ll create a positive outlook for yourself moving forward. In time, your conscious decisions to remain positive will become your natural, default reactions when confronted with stressful situations. 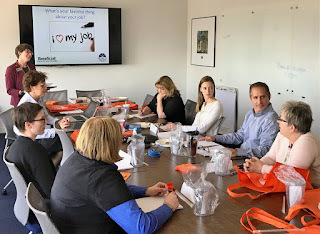 Peirce College was thrilled to provide this self-improvement Learning Burst series to Beneficial employees and looks forward to opportunities to collaborate and expand our growing partnership in the future. 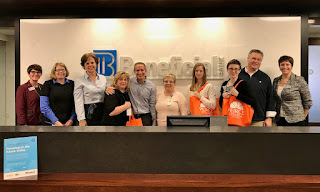 Peirce College and Beneficial Bank have been valued partners since 2008. Beneficial employees, spouses and dependents are eligible for a 25% tuition discount at Peirce College. To learn more about enrolling at Peirce, please visit www.peirce.edu/apply. For a complete list of all corporate partners, please visit www.peirce.edu/corporate-partners. If your company is not listed and you would like to be considered for partnership, please contact Amy Holvey, Manager of Corporate Enrollment at alholvey@peirce.edu.